Fritz’s Adventure Brings Unique Skydiving Experience to Branson! 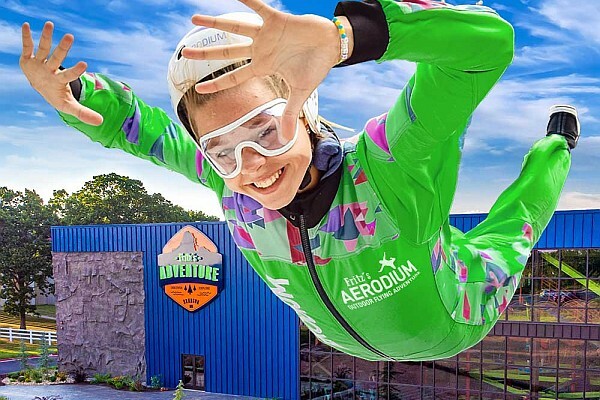 Coming this summer, Branson visitors will have the chance to experience a one-of-a-kind, outdoor, controlled skydiving experience at Fritz’s Adventure in Branson, Missouri! Adding yet another reason to visit, Fritz’s Adventure in Branson will be debuting their new outdoor skydiving experience this summer! The indoor/outdoor adventure park has quickly become one of the area’s most popular attractions for those wanting a more hands-on and active thing to do while visiting! The new “AERODIUM” offers a safe, controlled, outdoor thrill ride that is unlike anything you’ve ever experienced! 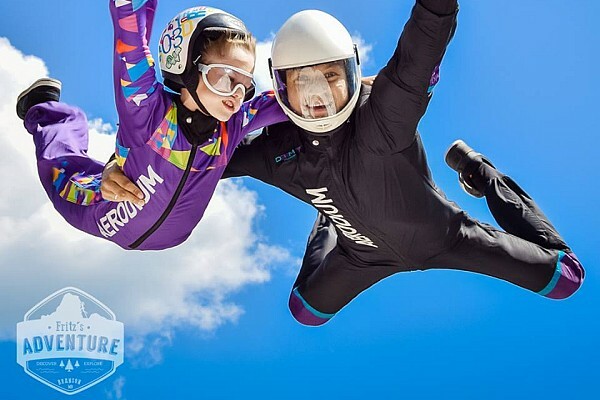 A Skydiving Experience for All Ages! Take part in this thrilling experience in an outdoor, controlled, and completely safe environment! Fritz’s Adventure is debuting an all-new, outdoor skydiving experience for Branson visitors – opening summer of 2018! Fun for all ages, the new Aerodium is able to accommodate guests 48″ and taller, allowing most visitors to Branson the chance to experience this once-in-a-lifetime attraction! Suit up and hop in the specially-design and custom-built wind tunnel as you’re lifted off the ground for an unforgettable ride you won’t ever forget! Designed by Aerodium, this new attraction is scheduled for opening in the summer of 2018 – so plan your itinerary and visit to Branson accordingly! Don’t miss the first attraction of its kind in Branson, only at Fritz’s Adventure! Spend a Day at Fritz’s Adventure! There are so many things to see and do at Fritz’s Adventure, that you could easily spend a day exploring, climbing, and experiencing this unique adventure park! There’s something fun for everyone, from indoor ropes courses and climbing walls to underground tunnels, slides, shipping container rooms, and more!